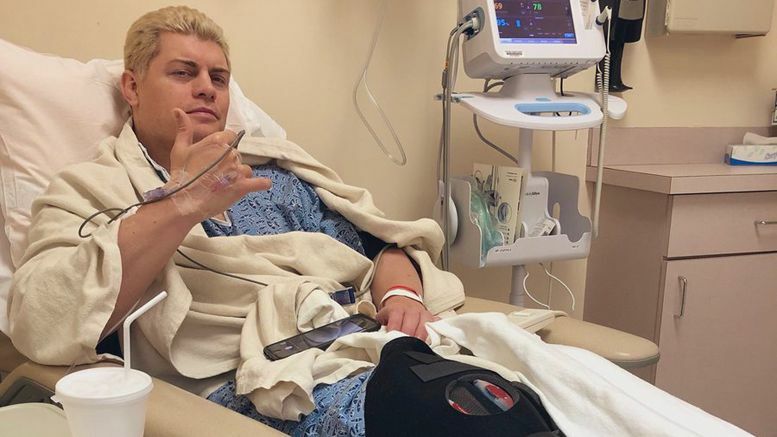 All Elite Wrestling Executive Vice President Cody Rhodes underwent surgery on Tuesday to repair his injured knee, but he’s not letting it get in the way of work obligations. “Surgery completed. Went smooth. Back to work,” Cody wrote in a tweet earlier today. “(Cowabunga I guess),” he added, along with a photo of himself in a hospital bed. Check out Cody’s tweet below.